The pre-war history of San Fernando can be retraced starting from the Spanish era and short-lived revolutionary government period to the American government period. On July 17, 1754, Don Josef Bersosa, on behalf of the Augustinian cura parrocos of Bacolor and Mexico, presented a petition to Governor-General Pedro Manuel de Arandia for the creation of a new pueblo from the aid towns. In his petition, Bersosa said that the towns had grown so much in size that the former had 1,300 taxpayers while the latter had 1,600 taxpayers. As a result of this, the said priests could barely attend to the spiritual needs of such a great number of parishioners. This was also due to the great distance between the churches of Bacolor and Mexico which was three leagues away from each other through a street lined by a continuous row of houses leading from one church to the other. Crimes also occurred more frequently and became notably difficult to address. As a result of all these disadvantages, Bersosas argued, it was advisable for a new town to be created in the middle part of the said street and the streets at the extreme end of both towns. This move would make it easier to administer both towns given that a new priest would administer the newly-created town. The citizens of the new town would also elect its own gobernadorcillo and other officials who would take charge of police matters and the administration of justice. Acting on the petition, Arandia promulgated an orden del superior gobierno on August 16, 1754, in line with plans drawn up by cura parrocos of the two towns. He ordered the establishment of a new town that would be called San Fernando, which was most probably named in honor of King Fernando VI, who was king of Spain at that time. 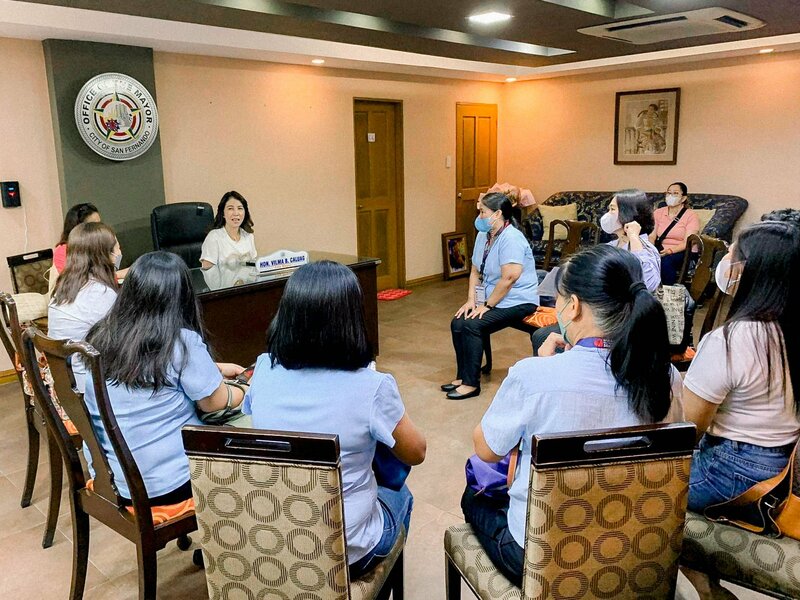 Two hundred taxpayers from Bacolor and four hundred from Mexico were assigned to San Fernando to assure the necessary income for the new cura parroco. Thus, the new pueblo of San Fernando was born in 1755. It was said that the first families in the town were those of Arrozal, Catacutan and David. Since the year it was founded, its administrator was called Gobernadorcillo, the first of whom was Don Vidal de Arrozal. Subsequently, 136 other town personalities occupied the position until 1897. The municipal building as seat of the municipal tribunal was built of nipa roof and strong materials in the place where it is presently located. Similarly, the Roman Catholic and Apostolic Church was built with nipa and wooden walls with Rev. Father Sebastian Moreno as the first parish priest. It was in 1812 that the town had its first Mayor. A certain Mr. Aviles served for eight continuing years until the position was vacated for another four years. After this, 28 mayors served the town until 1886. Since then, three important personalities of the town held high positions in the government namely: Mr. Caranto as the first provincial governor of Pampanga, Mr. Elolaas the first judge of the Court of First Instance and Don Pedro as the first justice of the peace of San Fernando. 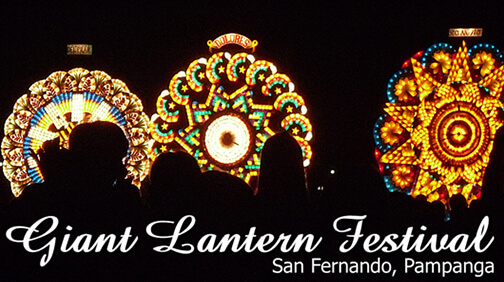 San Fernando is also considered the birthplace of the labor movement in the Philippines. On 1872, in protest against the abuses of their plant foremen, the first organized strike was said to have been staged by a gremio of printers from government press located in the town. The first labor union known as the Union de Lithografos y Impresores de Filipinas (ULIF), organized and headed by Hermegildo Cruz was also established in San Fernando in the printing plant of La Independencia, edited by General Antonio Luna. The socialist movement would later find its roots in the town during the early part of the 20th century under the leadership of Pedro Abad Santos. The San Fernando Train Station was opened as part of the Bagbag-Mabalacat stretch of the Manila-Dagupan Railway system on February 23, 1892. This event signaled the beginning of the exponential growth of the town brought about by the sugar boom in the province of Pampanga. Dr. Jose P. Rizal visited the town as part of his mission to recruit members to the La Liga Filipina on June 27 of the same year. On September 1, 1896, the municipality was declared in a state of war. This was the result of the Philippine Revolution against the Spanish government. Consequently, Spanish Generals like Diego Delos Rios, Luis Gerraldo, Francisco Castillo, a certain Jaudennes and Ricardo Monet were sent by the Governor General to establish big detachments of soldiers to halt the revolution. In December of the following year, peace was declared as a result of the pact of Biak-na–Bato. In 1898, a revolutionary government was established with Don Antonio Consunji as the Revolutionary president of the town. In June of the same year, the Palawe Bridge was burned down by the revolutionaries. The following day, General Ricardo Monet of the Spanish Army sent four companies from his force to investigate the incident and reinforce the detachment in Bacolor, but the troops were ambushed by the rebels. The Spanish Army was repulsed by General Hizon's force. Some who were able to escaped fell either on the hands of the rebels of Bulacan and Cavite or the American squadron that took Manila Bay. It was on October 9, 1898 that President Emilio Aguinaldo and his retinue came to this town and was received with joy and enthusiasm by the people. Not too long on February 4 of the following year, hostilities erupted, this time between Filipinos and Americans. War was declared and fighting ensued. The Red Cross established a hospital in the municipality on February 10, 1899 to take care of the wounded revolutionaries. On April 1, Malolos fell in the hands of the Americans. In the following month, Americans bombarded San Fernando. Fires broke out burning down the municipal building, the church and many businesses. Some accounts say that the town became a temporary seat of the Philippine Revolutionary Government from April 1 to May 4, 1899 when the Philippine Revolutionary army burned the poblacion, the church and casa municipal on orders of General Antonio Luna. In the latter part of 1899, the military rule of the Americans would no longer be stopped. Henceforth, Mr. Enrique Kerr was installed as Municipal Mayor in the same year. Three other mayors briefly succeeded him in 1900. With the formal establishment of the American government in 1901, Mr. Francisco became the first Municipal President. Until 1911, six other persons acted as Municipal President. In December of 1901, the public school was erected under the direction of an American Engineer. As a consequence of the reigning peace in December of 1902 the American Cavalry station in San Fernando was transferred to Angeles. 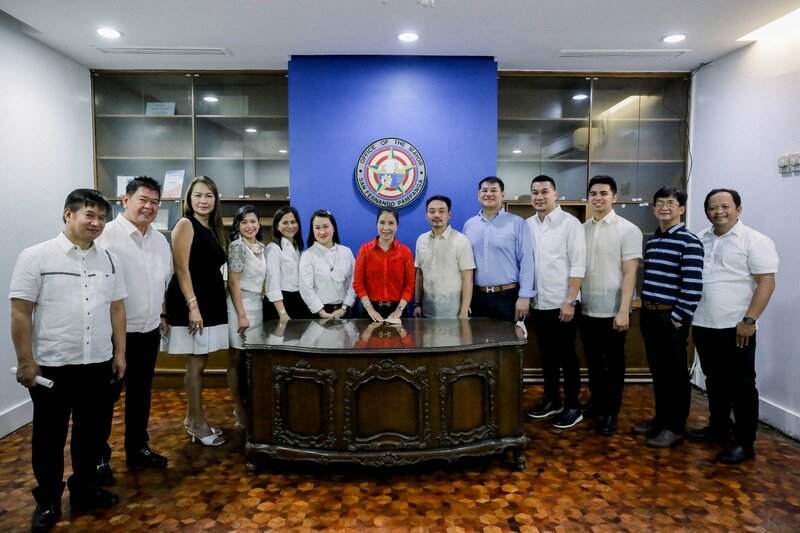 On August 15, 1904, the Provincial Capitol was transferred from Bacolor to San Fernando, with all its attendant business affairs upon the instruction of then Provincial Governor Macario Arnedo. A year after the war, Secretary William Taft paid a visit to the Municipality to assess the condition of the province. In 1907, another fire occurred in the municipality during the reception for Governor General Smith, burning down many houses of strong and light materials. In 1909, the first public market was erected with a cost of P20, 000.00. It was divided into four departments with galvanized roof and a building of concrete and strong materials. Since 1908 to 1911, 27 artesian wells have been constructed within the town and barrios. On March 27, 1910, another big fire occurred in the town proper spreading up to Aviles Street in Barrio Sto. Niño with a calculated loss of approximately P100, 000.00. In 1914 – Iglesia Ni Cristo was founded under the Ministry of Felix Manalo at Sto. Niño Viejo. In 1921, the sugar central of the Pampanga Sugar Development Company (PASUDECO) began its operations. In 1930 – The popular front or fronte popular inspired by communistic idealism was organized by Pedro Abad Santos, brother of Jose Abad Santos with members Ex-Mayor Vivencio Cuyugan and Lino Dizon as head of the Socialist Party. Before the outbreak of World War II, Pampanga High was erected. In 1941, the town was occupied by the Japanese Imperial Army and, due to its strategic location, it was used as their base of operations in their assault of Bataan. It was also during this period that the principles of communism were being served notably by Lino Dizon. He was later arrested and executed by the Japanese Kampetai. A year after, the town also served as a transit point for the participants of the Bataan Death March, as Filipino and American prisoners-of-war were carted from the San Fernando Train Station to Capas, Tarlac after the long walk from Bataan. On January 29, 1945, the Liberation Force under General Mac Arthur entered San Fernando and the Civil Government was established with the late Vivencio Cuyugan as Municipal Mayor. At this period, Cuyugan recruited policemen who as members of the Hukbalahap, or the "Hukbong Balen Laban sa Hapon." The Hukbalahap was organized and the constitutional by-laws of the organizations were written by Potenciano, a former Chief of Police. In July 1, 1946, by virtue of an agreement, Rodolfo Hizon took over as the Municipal Mayor until the end of the Second World War. In 1995, San Fernando was heavily damaged as a result of floods and mudflows from Mount Pinatubo. San Fernando became the 99th City of the Republic of the Philippines on February 4, 2001 by virtue of Republic Act 8990. 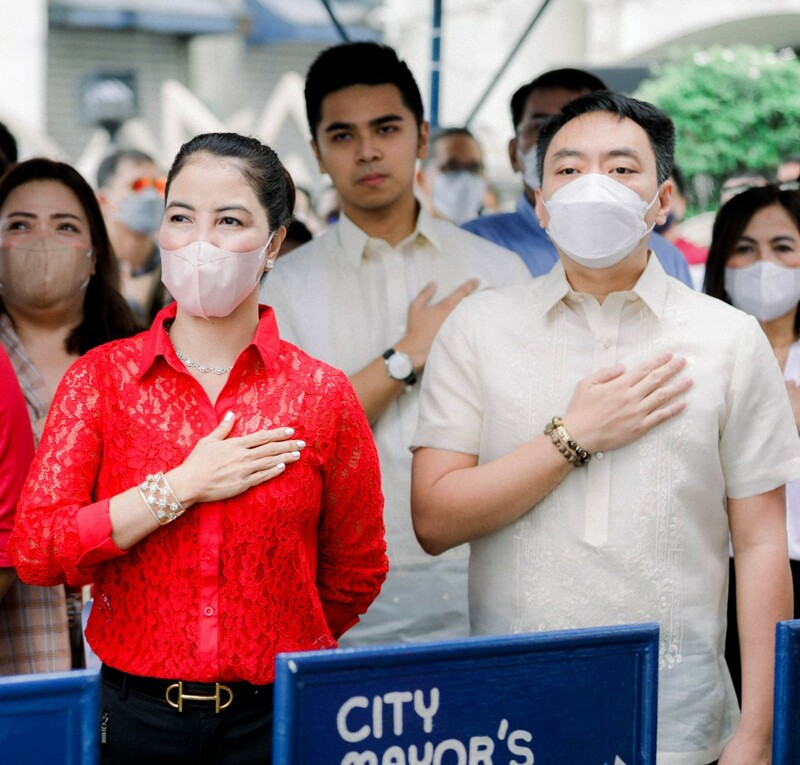 The City of San Fernando prides itself as the home of numerous personages in Philippine history, among whom include socialist leader and assemblyman Pedro Abad Santos, war hero and former chief justice Jose Abad Santos, revolutionary heroine Nicolasa P. Dayrit, poet and legislator Zoilo S. Hilario, senator and father of the concrete pavement Sotero J. Baluyut, revolutionary governor Tiburcio T. Hilario, and celebrated prewar journalist Amando G. Dayrit.